It is not known where Keiko was born, or indeed, even who her parents were. Instead the child was merely brought to the city of Aramore. 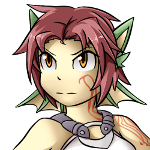 Most Humans proved to be somewhat fearful of the girl, as the traits of a Dragon were very plain on her, but even more than that... She was unlike every other Dragon Shifter seen to that date. You see, Dragon Shifters tend to be associated by color. But Keiko was one such color that proved a rare breed; Bronze. People took this to be an omen and they were quick to shun the child without even attempting to understand her. Still, whether by luck or sheer coincidence, they decided to give a small mercy in that she should be handed over to the Knights of Azeron, where her fate would be determined by their hand. Her case was one of much discussion and scrutiny, but it was a Captain of the Knights of Azeron that would take her under wing. His position afforded the girl many luxuries, but also many hardships. So to, did the Captain give her the name 'Keiko Ito'. He was a kind man, but by the age of five, she was expected to begin her training. And the Bronze Dragonling was eager to begin, most children wouldn't have liked the harshness of such expectations, but it was clear that she was a Fighter! From her personality, to the hardened scales which covered her body. Under his teachings, she would learn to wield a sword in two different stances. How to call upon magic to further aid herself! She even learned a skill which aimed for the most vital part of any being's body: The neck. Despite this, he attempted to raise her in a balanced lifestyle. Though Thera was certainly a dangerous world, there was more to it than simply fighting and surviving. Keiko was taught how to behave around others, how she should carry herself. As well as the duties that she could one day take up. Though people were still cautious of her, they began to realize that she was as normal as anyone else... At least, until she was brought into the fold of battle. When that happened, it became clear that she held a power very different from what most could achieve. You see, Keiko was one of the individuals that could use Essence as more than a currency, she could use it as a source of power, and in some cases that was exactly what she did. But in any case, her training continued. Life went on, she was never exactly allowed to leave the city for this duration. That is, until the age of eighteen. This was her coming of age, and the man that came to be her Father would grant her the freedom she had been craving. She was not able to officially join the Knights of Azeron. Though it was something that Keiko aspired to, it simply didn't pan out. However she would still be able to use what she had learned in order to make a life for herself out in the world, and though she would not be officially counted as a member of the Knights, that didn't mean that she couldn't lend her skills in such a fashion that it helped and defended others. As for what she intended to do from this point onward? She... Honestly had no real idea. Her idea was simply to join with the Knights, but that had changed. 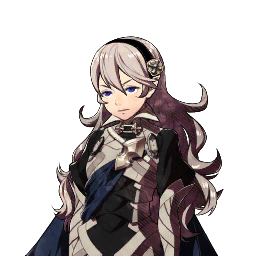 Perhaps she could start off smaller, with Mercenary Work... That was all that could come to mind for the girl. There was also the fact that she wanted to know about her parents, where she originally came from. No one in Aramore could offer this information to her, and though it was a matter of great importance to her, it was nothing to concern those of the highest authority with. It had simply come down to the fact that Keiko would have to set out and hope for the best, if nothing else she could make a name for herself. "You've learned well. Not many have been able to tire me out as you have...", a man spoke to the Bronze Dragon in a firm tone of voice. He was clad in armor, though he was currently not wearing a helmet. The setting was a training room, one that had seen much use over the years. Keiko would give an understanding nod. "Thank you for the praise. Though... I still feel as if I'm far too weak. ", the girl admitted. It was true that she held a ferocious strength that few could hope to keep up with. And it was also true that it was even greater due to her nature as a Bronze Dragon Shifter... However, her defense was sorely lacking. In truth, it had shaped up to be the least favorite part of her training. Her scales were hard, and she was not entirely vulnerable, but one could punish her very easily. It was something that the Dragon always had to be mindful of, it was only due to her mentor's harsh training that she was able to somewhat compensate for her "frail" body. "That's why I've taught you how to use that strength to your advantage." He would point out. "There's more to combat than blindly swinging your sword, and you grasp that concept in how you use your defensive stance. And though your magic is not powerful yet, healing yourself is a very potent skill indeed... Though you may not think it, you're more fit than any cadet I've ever trained. In fact, you're ready for your first live combat situation. Training isn't going to do you as much good anymore, you'll just have to learn by real battle. Besides, I've seen that fire in your eyes. ", he replied. "You want to explore. To find challenges that you can overcome. Keeping you cooped up in Aramore would do you an injustice... I know you wanted to join the Knights of Azeron, but look on the bright side; you'll have free reign to do whatever you like. ", he added. The Bronze Dragon was still a little disappointed that she wasn't inducted into the Knights... But perhaps there was a reason for that. Whatever it could have been, her Father had chosen not to share such details with her. Perhaps out of respect, or love. Maybe both. It didn't matter. Sahrot wasn't going to let it hold her down. "I guess it doesn't sound so bad... It wouldn't be any fun if it was just handed to me. I'll become a Knight all on my own! ", she'd then state in a determined tone of voice. "That's the spirit! ", he'd add, now cracking a grin. "Well. What are you waiting for? This house isn't going to go anywhere. Go see what the world's like for a change. And for Azeron's sake, remember what I told you! Find someone to travel with before you leave the city walls." He'd give a warning. The Bronze Dragon Shifter would give another nod... After that, they'd just share a hug. Father and Daughter were separating, it was never something that parents enjoyed doing, seeing their children out of the nest. But it was exactly what he stated... Far more of an injustice to just keep her penned up. This was what Keiko wanted as well. He'd release the hug and smile once more. "Now, go on. I've hold you here long enough. ", he would state his farewell. With that... The Bronze Dragon Shifter would set out from her home. The City of Aramore awaited, she would follow her father's advice and try to find a traveling companion first. After that... A vast world lay ahead. Full of dangers and wonders, and though she did not share the same adventurous spirit as some of her kin, it was something that excited her all the same. This is where the Tale of the Bronze Dragon Shifter, Keiko Ito would begin.